Communication is one of the most important disciplines to practice each and every day. We communicate our thoughts and feelings through the spoken or written word. Our words make us who we are and consequently impact the quality of our relationships.? Lack of communication is the misuse of words and can initiate confrontation. Good communicators recognize the need to express their feelings in a way that does not diminish the other person. There are seven chakras of the body; the word chakra comes from Sanskrit meaning ?wheel? designating energy centers in the body. Each chakra directly corresponds to different parts of the body. 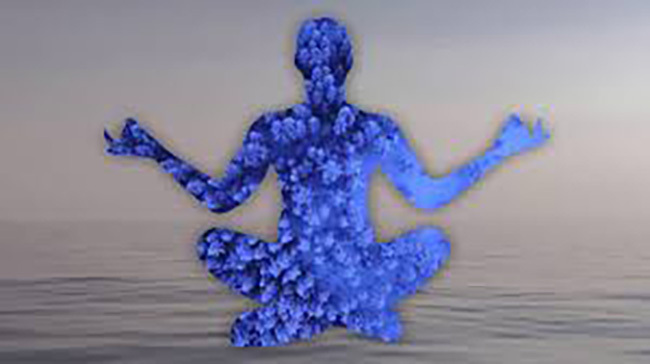 Chakra study is a holistic approach to living a healthy and balanced life.? When each chakra is functioning normally, each will be open, spinning clockwise, and in balance. Often times this energy gets blocked or is not in balance, spinning out of control.? When this happens, it leads not only to physical dysfunctions but also emotional, intellectual, and spiritual issues. The throat (fifth chakra) relates to all forms of communication: self-expression thought, speech and writing. The throat is where anger, frustration and disappointment are stored.? When this chakra is out of sorts one holds back feelings, is timid and quiet, and has difficulty expressing their thoughts.? Physical symptoms can range from sore throat, earaches, skin irritations, and back pain. I am someone who does not like confrontation and avoids it at all costs.? I try to let go of the fear, distrust, and misconceptions perceived.? When necessary, I put my best effort forward and try to find a way to communicate my feelings in a respectful manner, hoping my intentions are understood and acknowledged.? I grew up in an environment that expressed emotions through eating or not at all.? Whether happy, depressed, frustrated, or anxious, I was taught that the remedy was to indulge in food and ignore it for fear it may cause conflict. Unfortunately, I was not taught how to communicate effectively and express my feelings. As I grow and evolve, I am able to love and accept myself, I am able to communicate my feelings effectively and less reactively. Being raised in a very reactive family, having the discipline to refrain and listen was a challenge to say the least.? I have clarity in recognizing the times that I need to express myself and the times I need to be patient and practice letting go. I challenge you to take an insightful look at your everyday thoughts and behaviors, your choice of words, and how you express them.? Will you be surprised at how these revelations reflect and represent the life you live? Challenge yourself to aim true by communicating with words that echo honesty and respect, love and kindness.